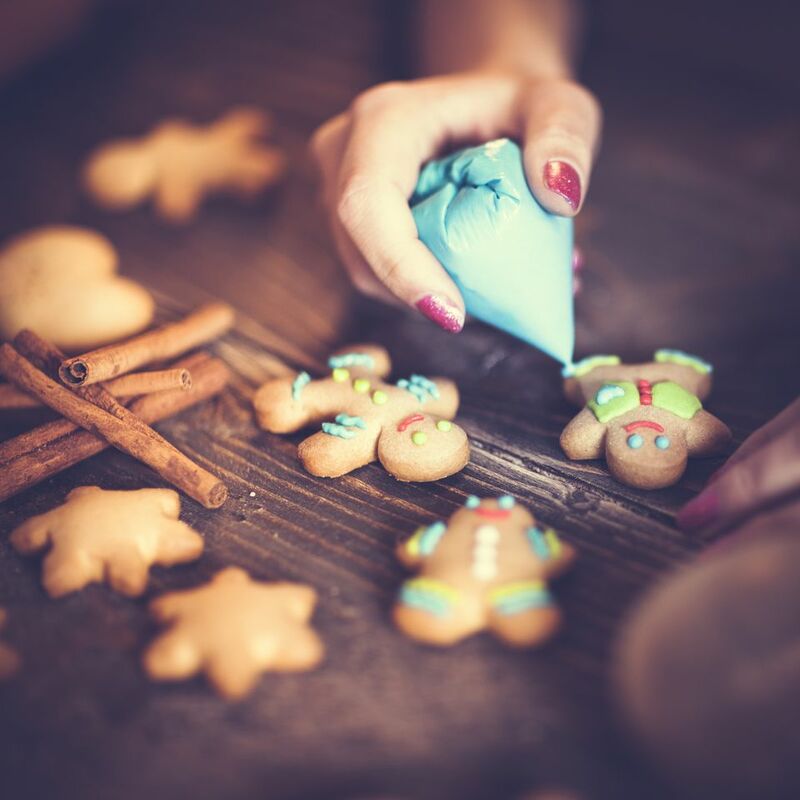 A paper cone, also called a paper cornet, is a simple tool that is essential for cookie and cake decorating. It's easy and affordable to make your own, and since it's just made out of paper, it's disposable, so there is no mess to clean up. To make a paper cone, all you need is some parchment paper, which comes in sheets, rolls, or triangles. 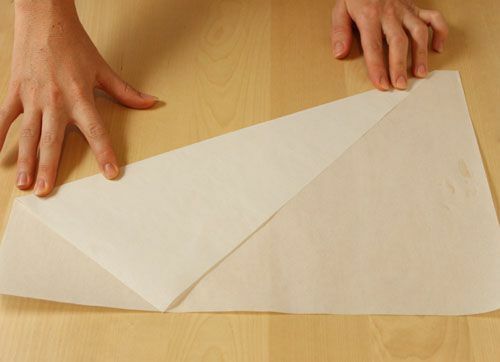 If your parchment paper is already in the shape of a triangle, skip to step 3. Otherwise, fold it into a long, lopsided triangle. Exact measurements don't matter, but aim for something with a base of approximately 17 inches, a long arm of 15 inches, and a short arm of 7 inches. Use scissors or a very sharp knife to cut out the triangle, and repeat until you have as many triangles as you need. One triangle produces one cone. Pinch the curled-around portion and the right angle together with your left hand so that the cone is secure, and remove your right hand. Grasp the end of the other long, skinny leg, and wrap it around the cone once, and then a second time. This double wrapping isn't traditional, but it makes for a sturdier paper cone. Pull the end of the triangle up toward your left hand, so that all of the triangle corners are gathered together. You might need to push or pull the cone a bit to get them to line up and to ensure that the tip of your cone does not have a big opening. You can do this by wiggling the outer layer, or the long leg of the triangle, around and adjusting the angle in order to shrink the hole at the bottom of the cone. You want the hole at the tip of the cone to be so small that it's invisible. Once you're happy with the shape and tip of your cone, fold the long tale down inside the cone. This will hold it together. For extra security, you can make two parallel tears in the top and fold the resulting flap down, which will prevent the paper from shifting at all. To use your paper cone, fill it with frosting or melted chocolate, leaving at least an inch and a half of space at the top. If you overfill your paper cone, you won't be able to close it properly and it will leak. The line you see running vertically through the middle of the cone is the seam. Flip the cone over so that the seam-side is down and the tip is pointing away from you. Press the top of the cone together and fold it over about a half-inch. Fold it several more times, or however much the empty space in your cone allows. Take the ends of your folds and bring them inward to secure your cone. Using scissors, snip the tip off of your cone. Start small, because while you can always make a small hole larger, it's impossible to make a large hole smaller! Your Paper Cone is Finished! Your paper cone is now finished! Use it for writing, decorating, and piping on cakes and candies. When you are done using it, simply discard it in the trash.